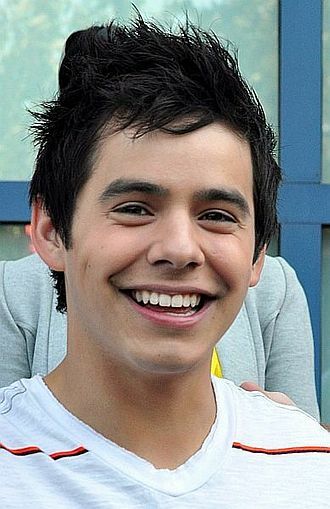 Christopher Duan Johnson is an American football running back who is currently a free agent. He was drafted by the Tennessee Titans in the first round of the 2008 NFL Draft and he played college football at East Carolina. Johnson has played for the New York Jets and Arizona Cardinals, unheralded out of Orlando, Johnson emerged as a senior for East Carolina University where he broke out for 2,960 all-purpose yards and 24 touchdowns. He was drafted by the Tennessee Titans 24th overall in 2008, in his second year of professional football, he won the NFL rushing title with 2,006 yards, and broke Marshall Faulks record of total yards from scrimmage with 2,509. 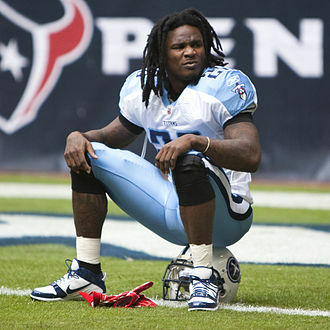 This earned him the nickname CJ2K and he has been to three Pro Bowls and was the NFLs Offensive Player of the Year in 2009. Johnson was born in Orlando, Florida and he played football at Olympia High School in Orlando. Considered only a two-star recruit by Rivals. com, Johnson was not ranked among the top running back prospects in 2004. He selected East Carolina over Eastern Kentucky and UConn, Johnson was a standout track star at Olympia High School. In his senior year, he finished second in the 100 metres at the 2004 Florida 4A state championships behind Walter Dix, in addition, Johnson finished his senior season posting personal bests of 10.50 and 21.28 in the 100 metres and 200 metres respectively. In his junior year, he qualified for the finals of the Florida State meet with a time of 10.83 seconds. Walter Dix won the event with a 10.46 in the finals and he anchored the 4 ×100 meters relay team that won Golden South and Golden West National Championships. His personal bests are 10.38 seconds in the 100 meters and 21.28 seconds in the 200 meters, Johnson enrolled in East Carolina University, and was a member of the East Carolina Pirates football team. He made an impact in all 11 games, as he eventually started seven games on the season. He finished the season on the Conference USA All-Freshman squad as a running back and he recorded a reception in 10 straight games which was a team-best. He finished the season with 561 yards rushing and 765 yards on kick returns for 1,562 all-purpose yards and he finished the season by being ranked 24th nationally for all-purpose yardage, and rushed for five touchdowns. Reginald Wayne is a former American football wide receiver who spent his entire 14-year career with the Indianapolis Colts. 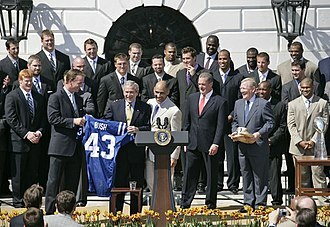 He played college football for the University of Miami, and was drafted by the Colts in the first round of the 2001 NFL Draft, a six-time Pro Bowl selection, Wayne was a member of the Colts Super Bowl XLI championship team that beat the Chicago Bears. 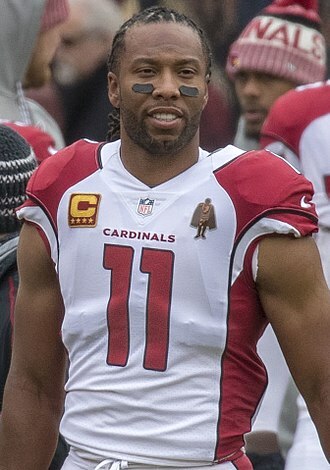 He ranks seventh all-time in NFL career receptions, ninth all-time in NFL receiving yards, on December 14,2014, Wayne played in both his 209th game and his 142nd win as a member of the Colts, breaking the franchise records set by Peyton Manning. Wayne is the youngest of three sons and his father, Ralph, is a former linebacker for Grambling State. A New Orleans Saints fan in his youth, he was interested in baseball growing up. Wayne attended the University of Miami, where he was a starter for the Miami Hurricanes football team. His 48 receptions during the 1997 season set a record for freshmen. Wayne ran track and field at the University of Miami, Wayne graduated with a degree in liberal arts, his roommate was Baltimore Ravens safety Ed Reed. College statistics Wayne was inducted into the University of Miami Sports Hall of Fame at their 43rd Annual Induction Banquet held on March 24,2011. 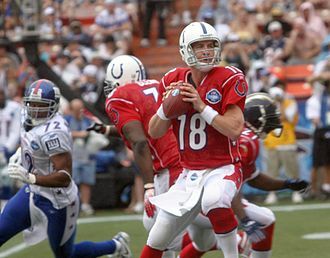 Wayne was selected by the Indianapolis Colts with the 30th selection in the 2001 NFL Draft, in Waynes first year, he caught 27 passes for 345 yards with no touchdowns. He only made nine starts and missed three games due to a high ankle sprain. His yards doubled the year as he caught 49 passes for 716 yards. Wayne broke into the lineup in the 2003 season, and he caught 68 balls for 838 yards. The next season, Wayne caught 77 passes for 1,210 yards and 12 touchdowns during a season in which Colts quarterback Peyton Manning set a then-record by throwing for 49 touchdowns. 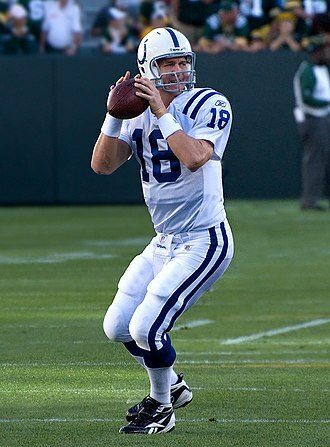 During the playoffs, Wayne was named the Wild Card Weekend Offensive Player of the Week after the Colts beat the Broncos, in 2005 Wayne continued to increase his yearly reception total with 83. In 2006, Wayne signed a 6-year, $39.5 million contract and he went on to catch 86 balls for a career high 1,310 yards and 9 touchdowns. Thomas Quinn Jones is an American actor and former American football running back who played twelve seasons in the National Football League. He played college football for the University of Virginia and he was drafted by the Arizona Cardinals seventh overall in the 2000 NFL Draft, and played for the Tampa Bay Buccaneers in addition to the New York Jets, Chicago Bears and Kansas City Chiefs. He is among the top 25 leading rushers in NFL history, Thomas was born in Big Stone Gap, Virginia. His mother, worked the graveyard shift in a Virginia coal mine for nearly 20 years while raising seven children, including his younger brother, Julius Jones. While in Appalachia, his father encouraged the children to five new words per day. Jones credits his parents with instilling the ambition and strong work ethic that he is known for in professional football, while playing for Powell Valley High School in Big Stone Gap, he led the team to back-to-back state championships in 1994 and 1995. He still holds the VHSL record for the most rushing yards in a season with 3,319 and he broke his late uncles single-game rushing record in 1994. 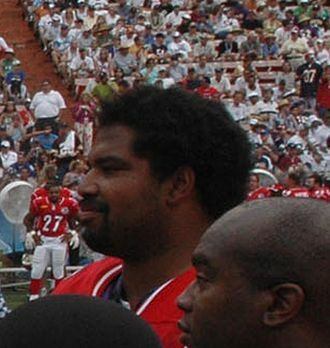 He tied for most career touchdowns with Terry Kirby, Thomas was featured in the January 22nd issue of Sports Illustrated section, Faces in the Crowd. Jones attended the University of Virginia, and played for coach George Welshs Virginia Cavaliers football team from 1996 to 1999, through four years, he left his mark on the record books of both the team and the Atlantic Coast Conference. His rushing total was the fourth highest in conference history, Jones set the conference and school record for single season rushing and single season all-purpose offense. Setting an ACC record for 200-yard games, Jones finished with six 200-yard rushing performances and he finished his college career with 4,698 all-purpose yards, fourth all-time at Virginia. Finishing 8th in balloting for the 1999 Heisman Trophy, he was the first ACC consensus All-American running back since 1978, Jones led the conference running backs and receiving yards, amassed four 200-yard games, and finished third in the nation in rushing and all-purpose yards. In American football, an official is a person who has responsibility in enforcing the rules and maintaining the order of the game. During professional and most college games, seven officials operate on the field. Beginning in 2015, Division I college football conferences are using eight game officials, College games outside the Division I level use six or seven officials. Arena football, high school football, and other levels of football have other officiating systems, High school football played under the National Federation of State High School Associations rules typically use five officials for varsity and 3,4, or 5 for non-varsity games. Because the referee is responsible for the supervision of the game. 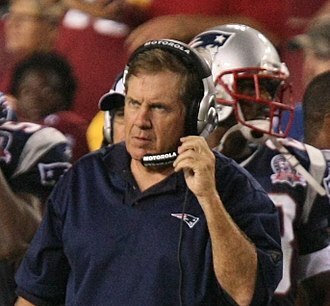 American football officials generally use the equipment, Whistle Used to signal a reminder to players that the ball is dead. Penalty marker or flag A bright-yellow-colored flag that is thrown on the field toward or at the spot of a foul, for fouls where the spot is unimportant, such as fouls which occur at the snap or during a dead ball, the flag is typically thrown vertically. The flag is wrapped around a weight, such as sand or beans, so that it can be thrown with some distance and accuracy and to ensure it remains in place, Officials typically carry a second flag in case there are multiple fouls on a play. 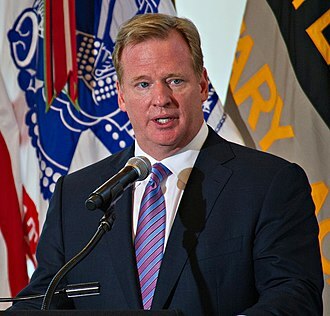 Officials who run out of flags when they see multiple fouls on a play may drop their hat or a bag instead. Bean bag Used to mark various spots that are not fouls, for example, a bean bag is used to mark the spot of a fumble or the spot where a player caught a punt. 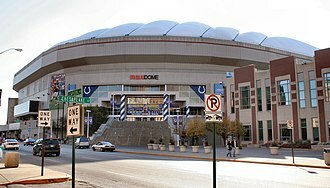 It is typically colored white, black, or orange, depending on the league, college conference, level of play. Unlike penalty flags, bean bags may be tossed to a parallel to the nearest yard line. Down indicator A specially designed wristband that is used to remind officials of the current down and it has an elastic loop attached to it that is wrapped around the fingers. Usually, officials put the loop around their index finger when it is first down, the finger when it is second down. Some officials, especially umpires, may use a second indicator to keep track of where the ball was placed between the hash marks before the play. Marshawn Terrell Lynch is a former American football running back. He played in the National Football League for the Buffalo Bills, as a member of the Seahawks, he won Super Bowl XLVIII against the Denver Broncos. He was drafted by Buffalo in the first round of the 2007 NFL Draft after playing football at California. Lynch earned the nickname Beast Mode for his running style, propensity for breaking tackles. Lynch grew up in Oakland, with three siblings and he was raised by his mother Denise, who once held a 200-meter track record at Oakland Technical High School, the school that Marshawn attended. Lynch started playing football in Oakland, California at a young age. At Oakland Technical, Lynch was a star in football, track. 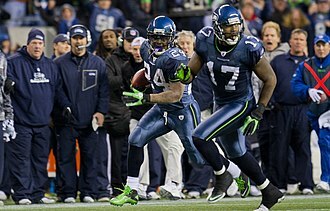 In his 2003 season, Lynch amassed 1,722 rushing yards and 23 touchdowns in eight regular season games. He was voted a PrepStar and SuperPrep All-American and was voted the San Francisco East Bay Player of the Year. In basketball, he played on the Oakland Techs team alongside future Cal star Leon Powe, Lynch helped lead his team to the state semi-finals. He excelled in track and field, where he competed mainly as a sprinter, but in jumping events. He recorded a personal-best time of 10.94 seconds in the 100-meter dash as a senior and he played defensive back and played some quarterback, wide receiver, and linebacker in high school. Rivals. com had him ranked #2 in the nation at running back behind Adrian Peterson, Lynch attended the University of California and played for the California Golden Bears football team. 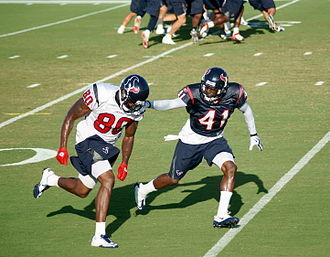 Lynch was nicknamed Money in college, as a true freshman in 2004, Lynch was the primary backup to senior J. J. Arrington. 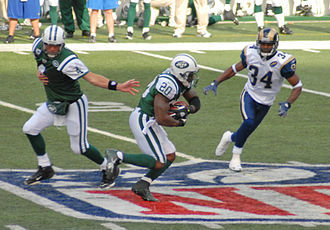 Lynch carried the ball 71 times for 628 yards with eight rushing touchdowns and 147 yards on 19 receptions, in 2005, Arrington graduated and Lynch became the starting running back. Even though he missed two games due to a hand and finger injury, he still amassed 1,246 rushing yards with 10 touchdowns on 196 carries and 125 yards on 15 receptions. In the 2005 Las Vegas Bowl, Lynch ran for 194 yards, Lynch wore jersey No.24 his freshman year but switched to No. 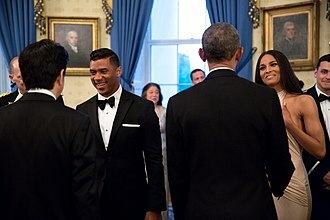 Ciara and her now-husband, Russell Wilson, meet Barack Obama and Shinzō Abe at the White House in 2015. 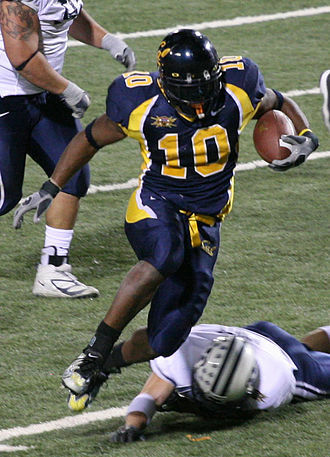 Johnson rushing the ball on a play during the 2007 Hawaii Bowl. Johnson at Titans 2009 Training Camp. 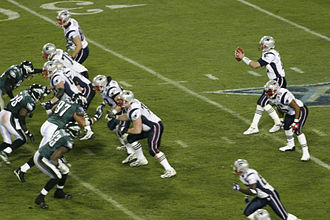 Johnson running against the Philadelphia Eagles in 2010.